Lutz's primary research interests are racial and ethnic inequality, immigration, and education. She has written about the educational and linguistic outcomes of children of immigrants. 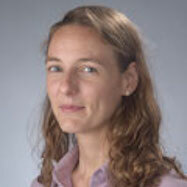 Her research includes work on the incorporation of immigrants and their children in the United States and Europe. Lutz is also currently working on a collaborative project on how social class relates to educationally relevant parenting practices. "Immigrants Have Always Belonged in the U.S. Military," Amy Lutz, HuffPost, October 27, 2017. Amy Lutz quoted on Mexican immigration into the United States in Sandhya Iyer, "President Donald Trump Builds More than One Wall with His Latest Executive Orders" The Daily Orange, January 31, 2017. Amy Lutz quoted on President Trump's interactions with a fallen Muslim soldier's family in Federica Genesi, "Inmigrantes Hispanos que Perdieron Parientes en la Guerra Fustigan a Trump por Intentar Dividir a la Comunidad Militar" Univision, August 1, 2016. Amy Lutz quoted on Latino/as in the army in Erika Sánchez , "U.S. Military, A Growing Latino Army " NBC Latino, January 1, 2013. Amy Lutz quoted on immigrants in the military in Carissa Wyant, "Who's Joining the US Military? Poor, Women, and Minorities Targeted" MintPress News, December 18, 2012. Amy Lutz quoted on diversity and matriculation at Brown University in Malcolm Shanks, "African-American Matriculation is a Brown Issue, Not a Black Issue" The Brown Daily Herald, September 9, 2011. Amy Lutz quoted on diversity and higher education in Cord Jefferson, "Ivy League Fooled: How America's Top Colleges Avoid Real Diversity " Good Magazine, September 2, 2011. "Beyond the School Yard: Social Class Differences in Parenting and Youth Participation in Structured Activitieis" (with Pamela Bennett and Lakshmi Jayaram). Sociology of Education 85, no. 2 (2012): 131-157. "Who Joins the Military? : A Look at Race, Class, and Immigration Status" Journal of Political and Military Sociology 36, no. 2 (2008): 167-188. Discusses the history of participation of the three largest racial-ethnic groups in the military: whites, blacks, and Latinos. Offers an in-depth look at Latinos in the military. Reveals that a large percentage of Latinos who have served in the armed forces are the children of immigrants. "The Transition from School to Work for Children of Immigrants with Lower-Level Educational Credentials in the United States and France" (with Yaël Brinbaum and Dalia Abdelhady). Comparative Migration Studies 2, no. 2 (2014): 227-254. Compares the transition from school to work among Mexican-origin youth in the United States and North African-origin youth in France relative to the native-majority youth with similar low-level credentials. Argues that high levels of youth unemployment in the society means greater ethnic penalties for second-generation minorities. "How African American is the Net Black Advantage? Differences in College Attendance among Immigrant Blacks, Native Blacks, and Whites" (with Pamela Bennett). Sociology of Education 82, no. 1 (2009): 70-100. Investigates whether the net black advantage reflects the educational trajectories of immigrants rather than native blacks. Finds dual, yet distinct, cases of the net black advantage, such that native blacks are more likely than comparable whites to attend all types of colleges, whereas immigrant blacks are only more likely than similar whites to attend selective colleges. "University Completion among Children of Immigrants " (with Raya Muttarak), in Unequal Attainments: Ethnic Educational Inequalities in Ten Western Countries, edited by Anthony F. Heath and Yael Brinbaum (The British Academy , 2014). "Why Do Bilingual Boys Get Better Grades in English-Only America? : The Impacts of Gender, Language, and Family Interaction on Academic Achievement of Latino/a Children of Immigrants " (with Stephanie Crist ). Ethnic and Racial Studies 32, no. 2 (2009): 346-368. Examines how the retention of Spanish-language skills affects the academic achievement of English-proficient Latino/a children of immigrants and how this varies by gender. Explores the role that family interaction may play in mediating the impact of gender and language on achievement.